If you would ask me about three things that are omnipresent in Sweden, I would say: trees, IKEA “Färgrik” mugs and kanelbullar. Fika could be easily translated as coffee break … but this does not yet explain the importance of fika in Swedish culture. Fika is a philosophy, an institution. Companies have fika breaks in the afternoon and sometimes in the morning as well (Förmiddagsfika). And it is not unlikely that you don’t meet with friends for a beer on saturday night, but for a mug of coffee and a bulle around 2 or 3 in the afternoon. No wonder that Swedes are amongst the leaders of worldwide coffee consumption – together with all their other scandinavian relatives. They drink f.ex. twice as much coffee as US Americans! If you order coffee in a café, you usually get handed over a mug and are directed to a side board where you can help yourself with coffee kept warm on a hot plate, refill included. 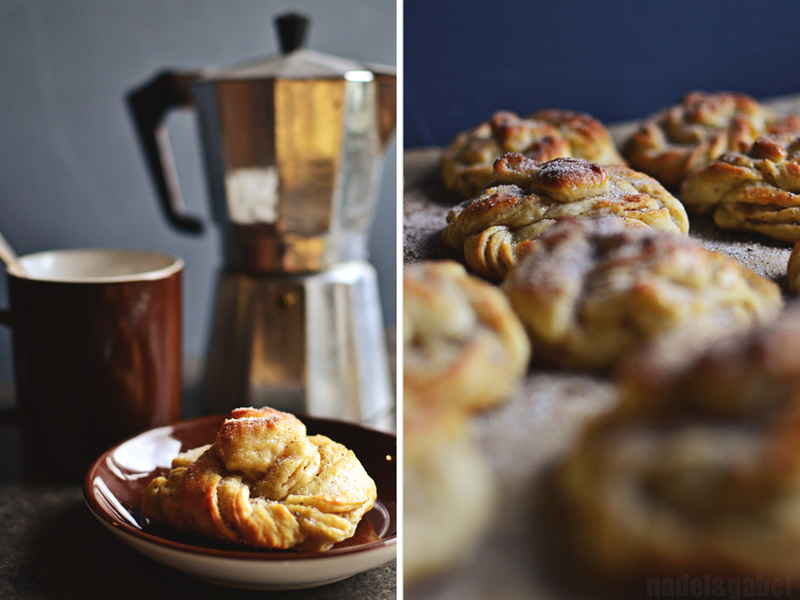 To be honest, I didn’t became especially fond of swedish coffee … but the more of its sweet companions! And it was only after a few days when I recognized those other buns sprinkled with black dots that often lay next to the cinnamon buns. “Kardemumma” I read .. this was quite obvious. I was a bit sceptic judging the amount of black dots. I sank my teeth into one of the freckled buns … and I loved it! 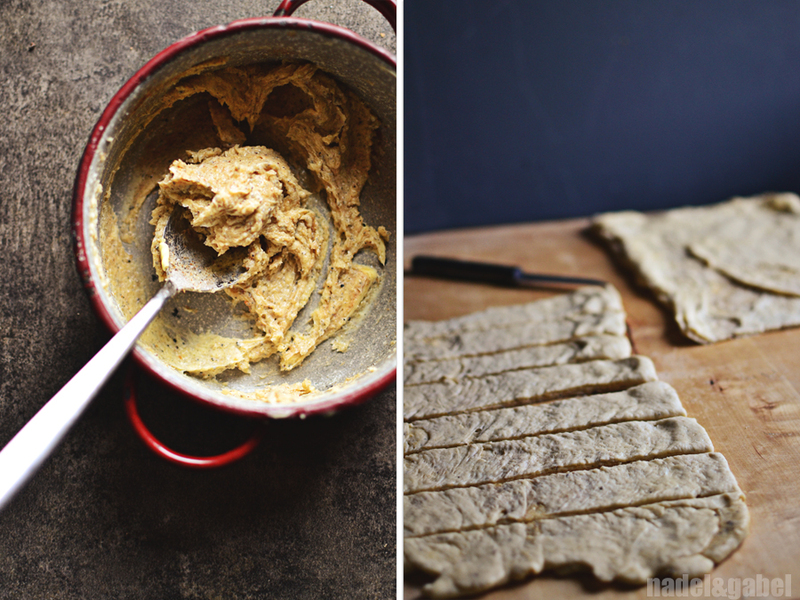 Don’t be afraid of the amount of cardamom in the recipe. I was – as I was when I bit into my first kardemummabulle in Sweden – but it turned out to be just the right amount! 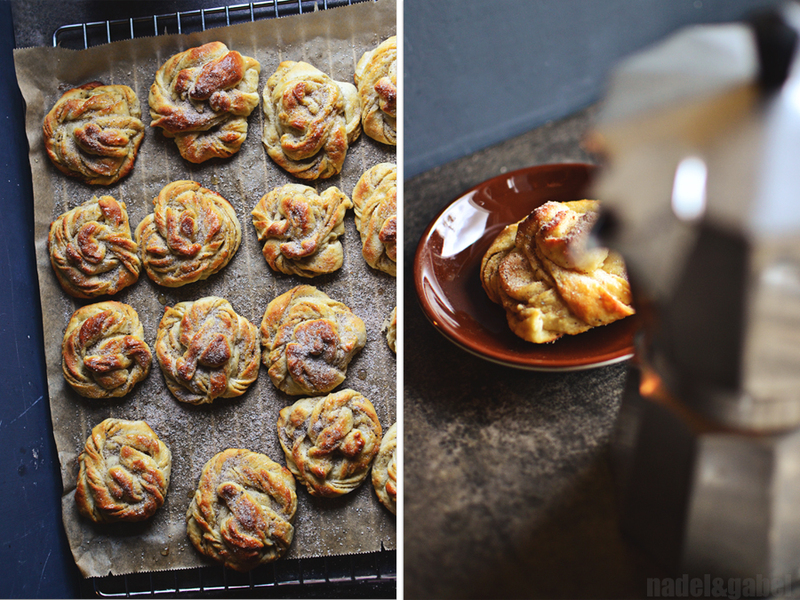 There’s only one precondition for a joyful fika with homemade kardemummabullar – you have to be into cardamom! dough: Heat milk until it is lukewarm. Add yeast to the milk and stir until yeast has dissolved. 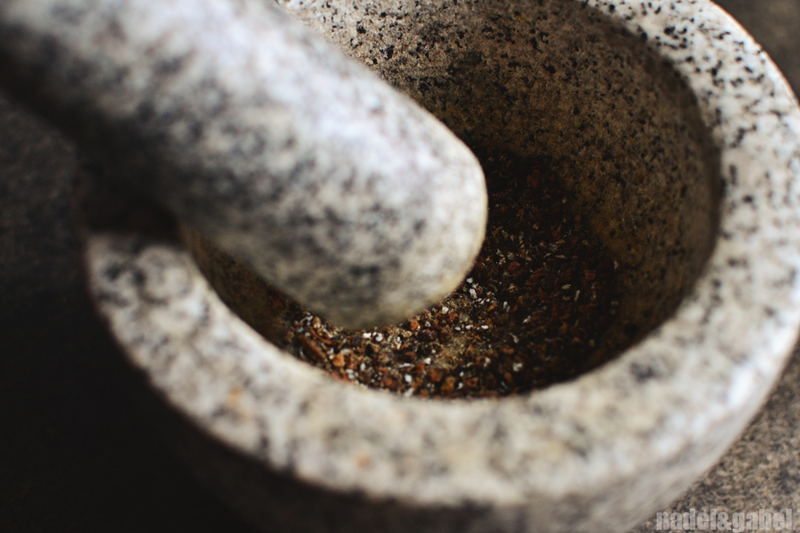 Crush the cardamom seeds with mortar and pestle. (You can do this seperately for dough, filling and topping, or all at once. You get a finer result if you pestle the cardamom with some sugar.) Mix together flour, sugar, cardamom and salt. Add milk-yeast-mixture to it. Add in the butter in small cubes. Knead well for about 5-10 minutes. Cover dough and and let it rise at a warm place for at least 40 minutes. filling: Mix all ingredients for the filling to an even cream. forming: Roll out dough into a big retangle. Spread filling onto the whole dough so that it covers the entire area. Mark three equal shaped parts with the back of a knife. Fold left side to the middle, than right side. Slice the new retangle into 15-20 equal sized slices. Cut each of them lengthwise again, but not up to the top. Twist each strand a few times outwards, and roll them into a bun (So difficult to explain! You have to watch the illustrations of Johanna.). Repeat with all slices. Place buns on a baking sheet, cover wit a kitchen towel and let them rise for about 30 minutes. Bake them in the oven at 225°C for 8-10 minutes. topping: Heat water and sugar until sugar has dissolved. Put syrup aside. Crush and mix cardamom and sugar with mortar and pestle. 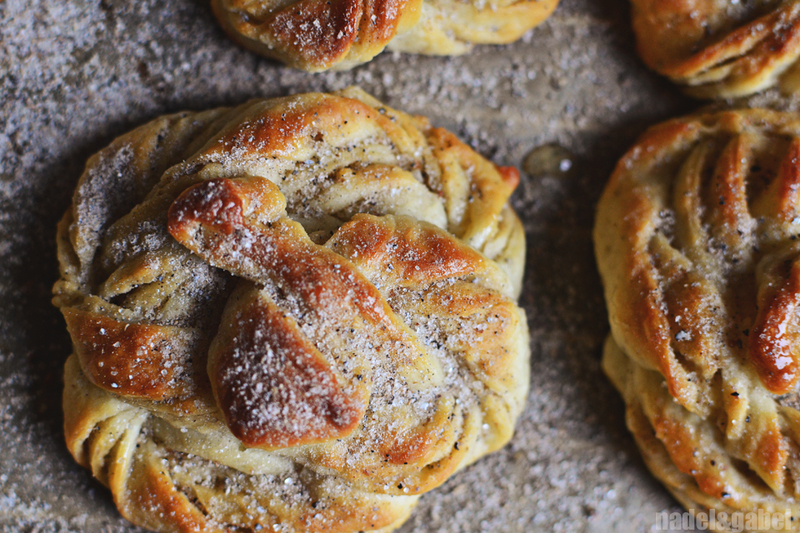 Brush baked buns with syrup and sprinkle with cardamom sugar. Ja, dass die Schweden Zimt lieben, war mir auch zuvor schon bekannt – dass sie auch total auf Kardamom stehen, habe ich sehr schnell gelernt. Is it normal for the dough to be a bit wet? I did weigh the ingredients, however the dough was pretty wet after mixing all ingredients together. Not sure if I should have added more flour. The dough is indeed more moist like f.ex. pizza dough, but it shouldn’t be “wet”. The ability to soak water is always varying a bit from flour to flour. In your case I would indeed recommend adding some more flour. Thanks for your reply. The really did turn out wonderfully! I can’t wait to make them again!! Dear Elisa, I couldn’t discover this problem yet when making the bullar. When I am talking about “brown sugar” I am referring to raw cane sugar. Maybe you are using the (darker) whole cane sugar? You could as well use normal white sugar. Wow, hört sich total lecker an! Ich würde sie gerne nachbacken, habe aber eine Frage: Bei der Mengenangabe der “whole cardamon seeds” – sind damit die ganzen Kardamonkapseln gemeint oder nur die schwarzen Samen aus den Kapseln? Liebe Susanne, gerade um diese Jahreszeit solltest du sie unbedingt nachbacken! In diesem Fall verwendest du die kleinen schwarzen Samen. Die Kapseln (pods) eignen sich eher zum Mitmachen in Currys etc. soon gut!! ich bin nicht wirklich eine Bäckerin..aber die sind super geworden! danke!! 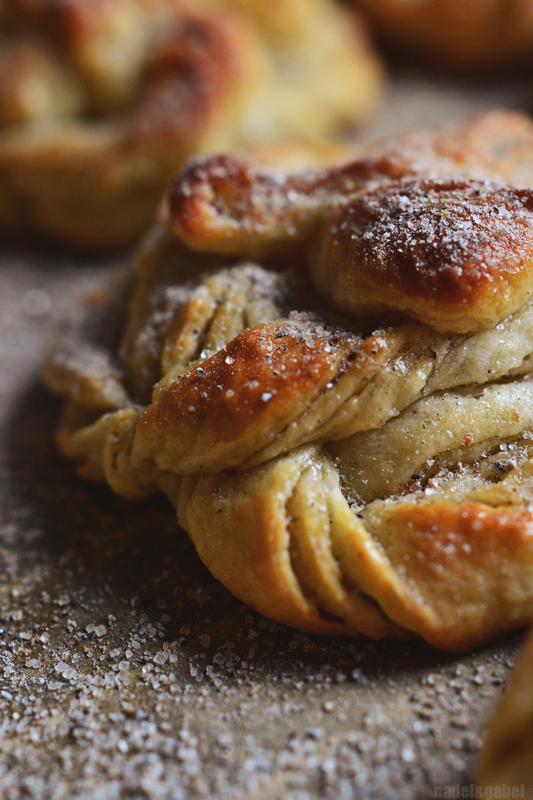 Oh I love kardemummabullar and can’t wait to try this recipe! Yum! Thanks for sharing cheers from Copenhagen! This recipe won’t disappoint you! Hi, looks like a great recipe! When you say one envelope of dry yeast, how many grams does your envelope contain? I just want t make sure my envelope is the same! 🙂 Many thanks.